With the application of botox and dermal neck fillers we can tighten the loose skin around the jawline, can tighten the aging “turkey neck” look, and can provide treatment for sagging jowls by filling the lost volume in the area. This, along with our non-surgical nose job, and our non-surgical tear trough treatments is one of our wow-factor treatments, renowned as one of the best treatments for sagging neck and jowls. Aging around the jawline and the neck are the main reasons why some women look older than they actually are and with this procedure, which we call the “Nefertiti neck lift”, we can very effectively tighten the skin and replace the volume in the area, and can give the appearance that a non-surgical face lift has been performed. So if you have already had some treatments to the face (i.e.neck fillers), and you look great, make sure that the tell tale signs of the aging neck and jawline do not give the game away! By injecting botox around the jawline into a thin muscle called the Platysma, with relaxing the muscle, so that muscles on the upper face become stronger and they in this way perform a non-surgical jaw lift. The procedure lasts only 4-5 minutes, it is painless, and there are no side-effects. Also, the skin around the jawline droops and sags, due to the loss of natural facial volume, which comes with gravity and age. As these fat pads disappear, the skin empties just like a deflating balloon and with a gravity, it sags and hangs down leaving that “jowling look”. By injecting hyaluronic acid dermal jaw and neck fillers such as Restylane and Perlane, we literally “pump back up” the balloon, and with the help of botox can rejuvenate the area beautifully. The neck itself also sags, and takes on the appearance of the “turkey neck”. Some women also notice wrinkles on the neck, the so-called “necklace lines”. 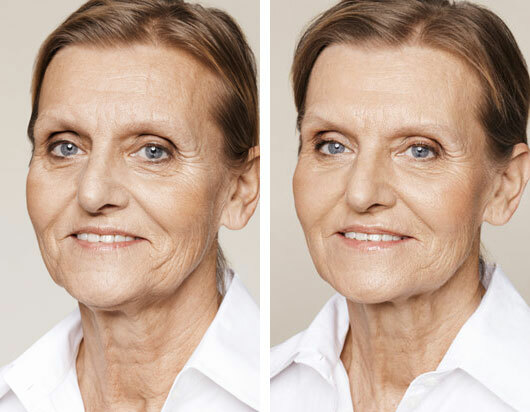 With repeated and easy botox treatments to the platysma muscles in the neck, the lines disappear, the neck tightens due to the neck lift process, and once again takes on a youthful appearance. In addition, with patients who have a disproportionately small chin, this can be augmented very successfully by injecting a dermal filler such as Perlane, Restylane Sub Q or Juvederm Voluma.